From Cold Switzerland @Polar Bear meet (Eisbärtreffen) 2013 flowen by Tobias Wörner. Radio controlled helicopter rc micro giro syma blade nitro. Voice Operated Helicopter From Common Sense RC Tested by NightFlyyer. Water Shooting Remote Controlled Helicopter ! 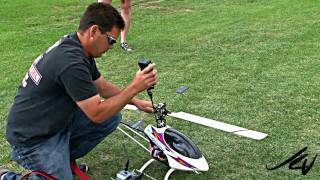 Blade 300X Helicopter Throttle Curve change and Test Flight by ~NightFlyyer~.